Cameco Corporation is licensed by the Canadian Nuclear Safety Commission (CNSC) to operate the Blind River Refinery (BRR), located in Blind River, Ontario. The facility refines uranium concentrates (yellowcake) from uranium mines around the world, including northern Saskatchewan, to produce uranium trioxide (UO3), an intermediate product of the nuclear fuel cycle. The UO3 is then shipped to Cameco's Port Hope Conversion Facility for further processing. Cameco maintains a comprehensive environmental protection program to monitor and control uranium and other hazardous substances released from the BRR, determine concentrations in the environment, and assess exposure to the public. The Independent Environmental Monitoring Program (IEMP) results for 2013, 2014, 2017 and 2018 confirm that the public and the environment in the vicinity of the BRR site are protected and that there are no expected health or environmental impacts. The CNSC has implemented its IEMP to verify that the public and the environment around licensed nuclear facilities are protected. It is separate from, but complementary to, the CNSC's ongoing compliance verification program. The IEMP involves taking samples from public areas around the facilities, and measuring and analyzing the amount of radioactive and hazardous substances in those samples. CNSC staff collect the samples and send them to the CNSC's state-of-the-art laboratory for testing and analysis. The BRR site was sampled in 2013, 2014, 2017 and 2018. The 2018 IEMP sampling plan for the BRR site focused on uranium, nitrate and pH. The IEMP assessed uranium against its more sensitive and therefore more restrictive chemical toxicity thresholds as a potentially toxic metal (hazardous substance). A site-specific sampling plan was developed based on Cameco's approved environmental monitoring program, CSA Group standards and the CNSC's regulatory experience with the site. 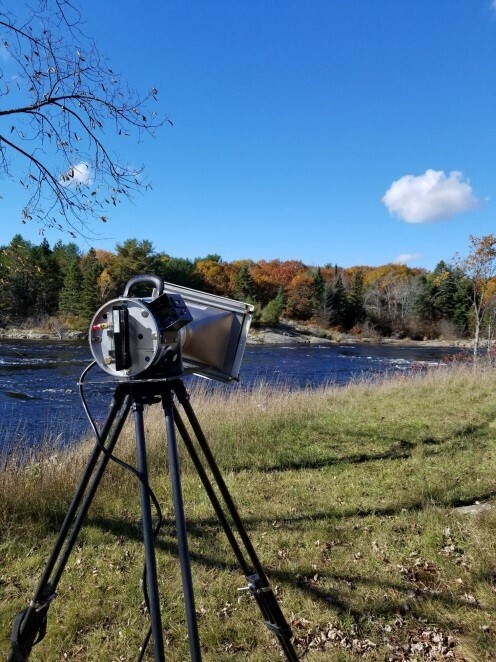 In October 2018, samples were collected in publicly accessible areas outside the BRR site perimeter fence and included air, soil and water. View detailed sampling data. The concentrations of uranium and nitrate in water measured in the samples were below the Canadian Council of Ministers of the Environment's (CCME) guideline levels (15 mg/L for uranium and 13 mg/L for nitrate). The concentrations of uranium in soil at all locations sampled in 2018 were below the applicable CCME soil quality guideline for residential and parkland use (23 mg/kg). The measured concentrations of uranium in air were below the levels set by Ontario's Ambient Air Quality Criteria (0.03 µg of uranium per cubic meter of air (µg/m3)). With regard to pH levels in water, the measured levels were within the CCME guidelines (pH between 6.5 and 9.0). No health or environmental impacts are expected at these levels. The 2018 sampling campaign also included sites on Mississauga First Nations (MFN) land. Samples of air, soil and water at several sites were selected based on prior discussions between CNSC staff and MFN. The results for the samples obtained on MFN land were below applicable guidelines. The results were also similar to what was found from the 2013, 2014 and 2017 sampling campaigns as well as the results for the other sampling sites outside the BRR site perimeter for 2018. The results for the four sampling years are similar and are below all applicable guidelines. Since the IEMP results represent a snapshot in time, the small differences between sample results can be attributed to slight differences in the sampling locations, seasonal variations, facility operations, meteorological conditions, and/or natural variations in background radiation. The 2013, 2014 and 2017 IEMP sampling plans for the BRR site were similar to the 2018 plan and focused on uranium, nitrate and pH. Air, soil and water samples were collected by CNSC staff in publicly accessible areas outside the BRR facility site perimeter for the sampling campaigns. View detailed sampling data. The 2013, 2014 and 2017 IEMP results confirmed that the public and the environment in the vicinity of the BRR site were protected from the releases from the facility and that there were no health or environmental impacts expected at these levels. The CNSC also conducts studies to assess the health of the public near nuclear facilities. Several studies have been carried out in Port Hope, ON, where uranium has been processed to manufacture nuclear fuel for decades. These studies have consistently demonstrated that people who live near uranium processing facilities, such as the Blind River Refinery, are as healthy as the rest of the Canadian general population. Access the CNSC's library of health studies and third-party research. The IEMP results for 2013, 2014, 2017 and 2018 confirm that the public and the environment around the BRR site are protected and that there are no expected health impacts. These results are consistent with the results submitted by Cameco, confirming that the licensee's environmental protection program protects the health and safety of people and the environment.